While we may not have an event or program on the day of your intended visit, we always have amazing art on view and helpful staff to welcome you. A gift in your will or living trust. Through a gift in your will or living trust, you can support the Crocker Art Museum with a specific amount of money or a percentage of your total estate. This type of gift allows you the flexibility to change your mind at any time. A charitable gift annuity. One of the most common ways to fund this gift that supports the Crocker Art Museum and provides you and/or a loved one with fixed payments for life is with cash in the form of a check. A charitable gift annuity typically works well for those 60 and older. Memorial and tribute gifts. If you have a friend or family member whose life has been touched by the Crocker Art Museum, consider making a gift to us in his or her name. An endowed gift. Create an endowment or contribute to one that is already established to ensure that your support of the Crocker Art Museum will last forever. Contact Crocker Art Museum at (916) 808-8844 or eculp@crockerart.org for additional information on giving a gift of cash. If you include the Crocker Art Museum in your plans, please use our legal name and federal tax ID. Whether hosting your wedding or a corporate reception, the Crocker Art Museum is the perfect canvas for your special event. Our unique setting and exceptional service guarantees an unparalleled experience. Please contact the Facility Use Department for more information. 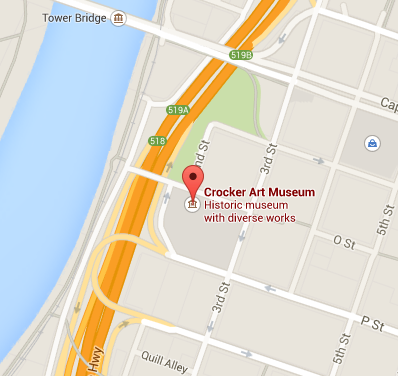 Get the scoop on the benefits of joining the Crocker. There's something for everyone happening at the Crocker this month. A charitable bequest is one or two sentences in your will or living trust that leave to the Crocker Art Museum a specific item, an amount of money, a gift contingent upon certain events or a percentage of your estate. The official bequest language for Crocker Art Museum is" "I,(name), of (city, state, ZIP), give, devise and bequeath to Crocker Art Museum Association (written amount or percentage of the estate or description of property) for its unrestricted use and purpose." A donor advised fund is an account that you set up but which is managed by a nonprofit organization. You contribute to the account, which grows tax-free. You can recommend how much (and how often) you want to distribute money from that fund to the Crocker Art Museum or other charities. You cannot direct the gifts. You fund this type of trust with cash or appreciated assets—and may qualify for a federal income tax charitable deduction when you itemize. You can also make additional gifts; each one also qualifies for a tax deduction. 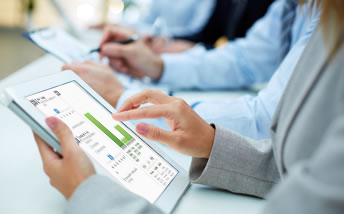 The trust pays you, each year, a variable amount based on a fixed percentage of the fair market value of the trust assets. When the trust terminates, the remaining principal goes to the Crocker Art Museum as a lump sum. You fund this trust with cash or appreciated assets—and may qualify for a federal income tax charitable deduction when you itemize. Each year the trust pays you or another named individual the same dollar amount you choose at the start. When the trust terminates, the remaining principal goes to the Crocker Art Museum as a lump sum. A charitable gift annuity involves a simple contract between you and the Crocker Art Museum where you agree to make a gift to the Crocker Art Museum and we, in return, agree to pay you (and someone else, if you choose) a fixed amount each year for the rest of your life.